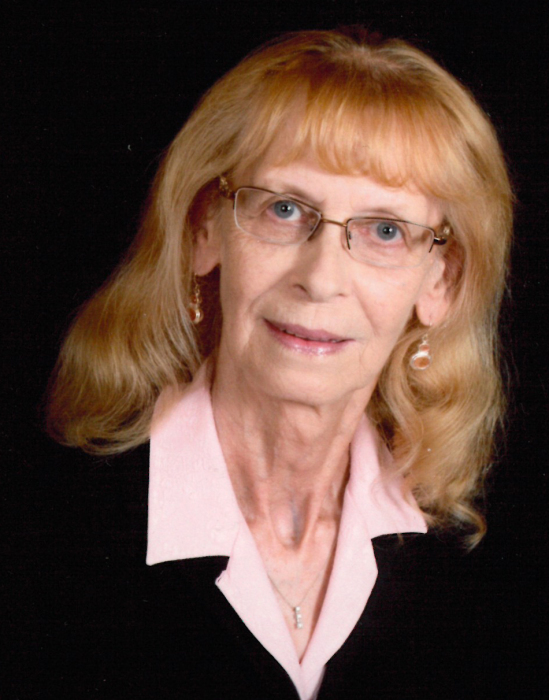 Linda Mohl, 71, Zap, passed away peacefully on September 1, 2018, at her home in her favorite place, her sewing room, surrounded by family and friends. Services will be held at 10:00 AM CDT on Wednesday, September 5, 2018 at Zion Lutheran Church, Beulah, ND, with Pastor Mary Lou Aune officiating. Burial will follow at a later date. Linda was born in Beulah, ND on March 16, 1947, the first of three children to Theodore (Ted) and E. Esther (Erickson) Voegele. She was raised and educated in Beulah, graduating from Beulah High School in 1965. On December 3, 1965 she married her loving husband and best friend Ricky Mohl of Zap at Immanuel Lutheran Church in Zap. Together they ran a dairy farm outside of Zap where Linda was very involved in the day to day operation. They were blessed with two sons, Michael (Mike) and Anthony (Tony). In 1983, they built Linda’s dream home on the farm where they continued to live until her death. Linda was an avid roller skater and was a member of the “Topper” roller skating club where she spent many of her teenage weekends at the Sheep Shed. Her love of basketball began while watching her sons play in high school and continued as she followed her favorite team, the Minnesota Timberwolves. She enjoyed gardening and spent many hours tending her flowers, harvesting her vegetables and was famous for her pickles. She was very talented and spent many hours restoring antique furniture with Rick. She was known for her crocheted animals and Barbie clothes, as well as, the beautiful rugs she created on her Grandma’s loom. She enjoyed spending time with family and friends and especially her grandchildren. They have many memories of time spent camping, playing cards and bowling. She was an avid reader and enjoyed organizing and supervising home projects. She was a member of the Beulah Jayceettes and Immanuel Lutheran Church Council. Linda is survived by her husband, Ricky Mohl; two sons and daughter in laws, Mike and Mary (Iverson) Mohl of Zap, ND and Tony and Sally (Chan) Mohl of St. Michael, MN; five grandchildren and two great-grandchildren; one sister, Joyce (Ken) Hintz of Beulah; one brother, Dennis (Laurie) Voegele of Coleharbor, ND; three sister in laws, JoAnn (Jim) Boehm of Mandan, ND, Darla (Scott) Hoffmann of Dickinson, ND, and Lisa Scott and friend Scott Messer. She was preceded in death by her parents Ted and Esther Voegele. The family requests memorials be made in Linda’s honor to Sakakawea Hospice.